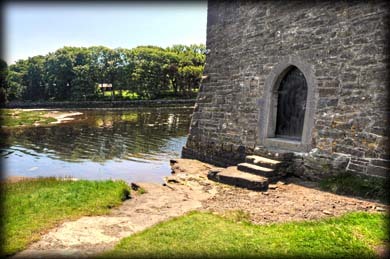 Rockfleet Castle or Carraigahowley Castle (Carraig-an-Cabhlaigh), is a tower house 8 kilometres west of Newport, just off the N59. 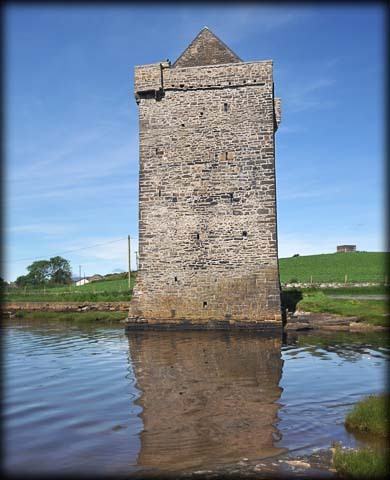 It was probably built around the middle of the 16th century by Risteárd an Iarainn Bourke - Richard Burke (Richard the Iron) 18th lord of Mac William Iochtar. 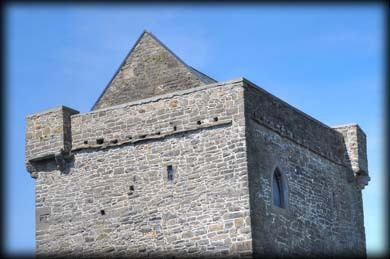 This castle is a four storey tower house standing at over 18 metres in height. At high tide it is impossible to get into the tower house without wetting your feet. 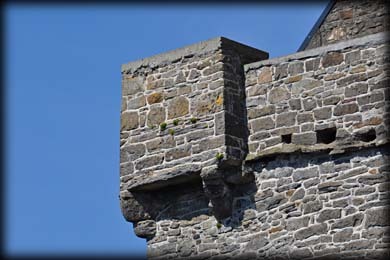 There are bartizans at the north and south corners of the tower. 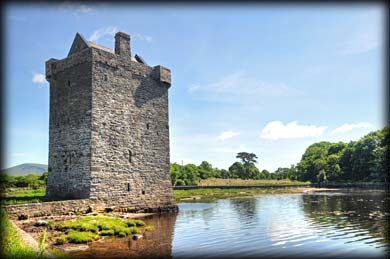 The castle is famously associated with the legendary Grainne ni Mhaille, Grace O’Malley, the pirate queen and chieftain of the clan O’Malley. O'Malley had inherited a shipping business from her father. In 1546 she married Dónal an Chogaidh Ó Flaithbheartaigh - Donal O'Flaherty, heir to the O'Flaherty title. After Donals death Grace married Richard (The Iron) Burke in 1566. When Richard died in 1583 the castle came into Grace's possession. In 1593 she appeared before Elizabeth I and was granted a licence to attack the Queen’s enemies. Legend has it that the door in the top-most room was where the rope from her galley came through from the outside and was tied to her bed. 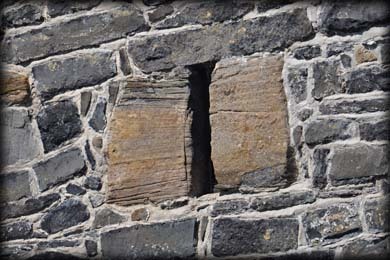 The interior of the castle is closed to the public at the present time because of work being carried out by the O.P.W. Situated: From Newport head northwest on the N59 towards Achill Island. After about 6 kilometres turn left signposted Carrigahowley Castle. Then 750 metres keep right. Discovery Map 31: L 9305 9530. Last visit June 2014.